I am so pleased to let you know that I am offering a free e-cookbook for anyone who has read the book or wants to read the book. 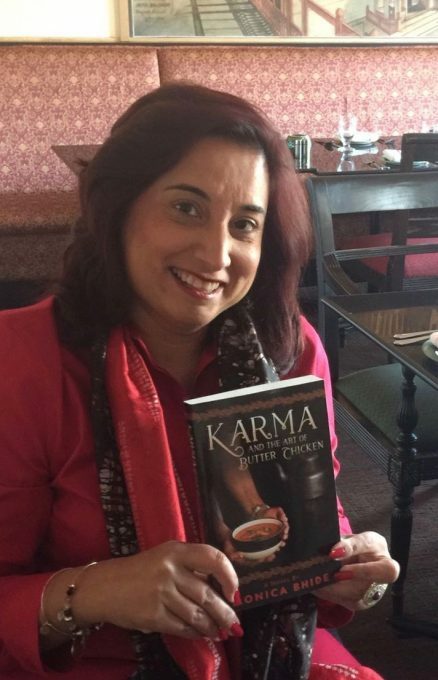 We created this e-cookbook for bookclubs who are reading Karma! I received so many emails from book club readers asking for easy recipes they could prepare during book club meetings. 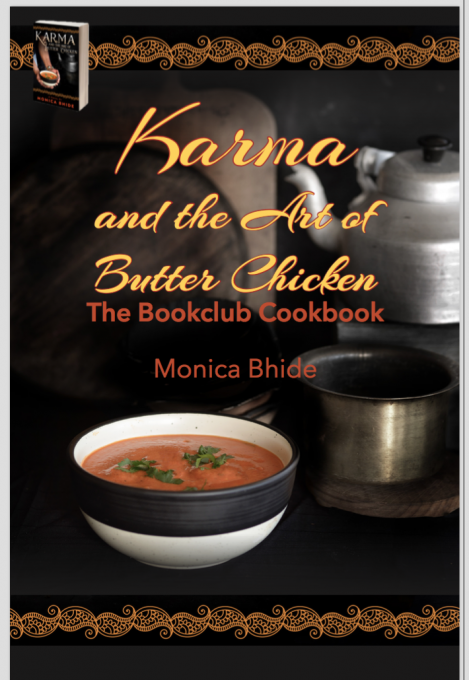 You asked, I answered –>>> FREE E-COOKBOOK (S) – Get two free ecookbooks – Monica’s Indian Express and the Karma and the Art of Butter Chicken BookClub Cookbook when you sign up for email updates. I am delighted to let you know that this beautiful book was designed by a very charming nineteen-year-old artist, Abigail Berk! I have always loved her work and hired her to create this book. 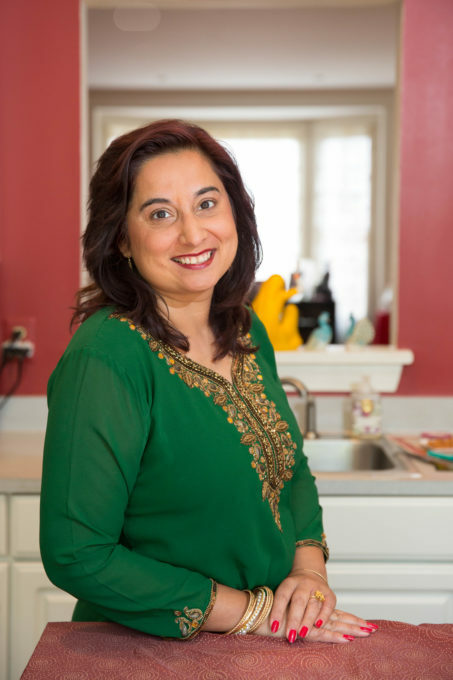 I talked to her about what it is like to design a cookbook — a brand new experience for her! A. I began my design process by looking at my favorite cookbooks and focusing on what I liked the most about each. After highlighting which factors I liked the most I created a layout for the recipes. I printed the draft and tried cooking from one of the recipes to make sure the font was large enough. For the pictures, I tried creating two different styles of photos. One of the options was focused more on the food, and the other was focused more on the arrangement the food had been placed in. After I printed the two options out I discussed Monica’s favorite. 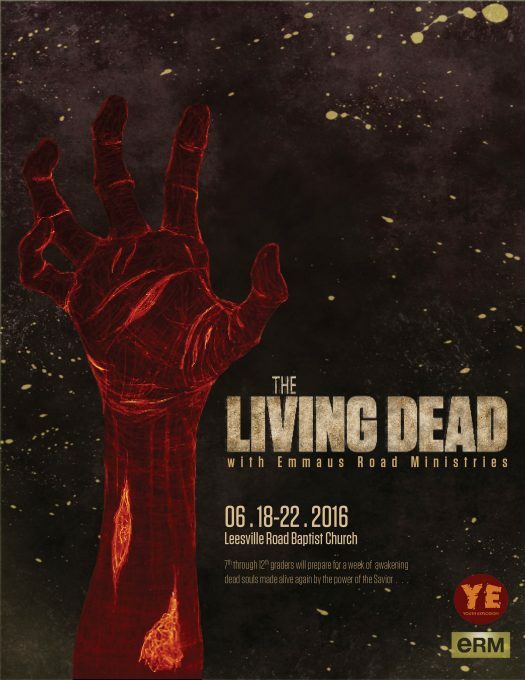 Once decided I tweaked the original design until we were both content with the end product. A. The most difficult part was making a cohesive look with the pictures provided. 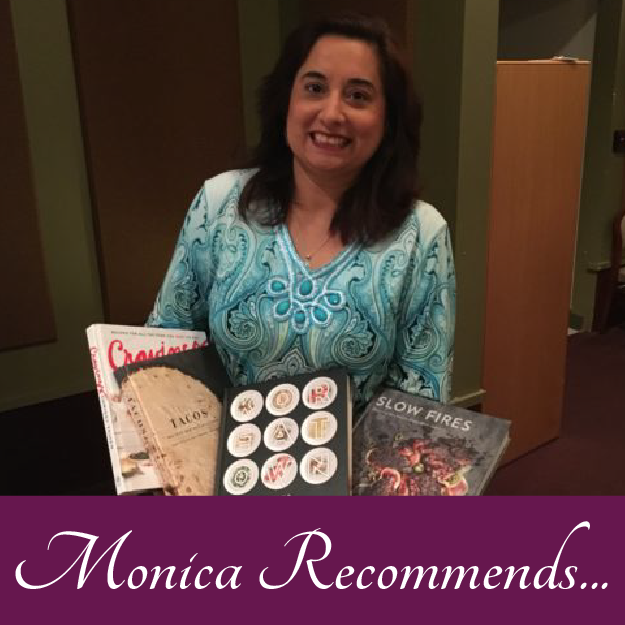 While all of them were stunning pictures that captured the beauty of Monica’s dishes they each added a different vibe to the overall book. I wanted the reader to know it was the same book start to finish. Q. What did you learn? Would you do it again? A. I learned to always save the pictures in multiple places incase I might need them again. I have also learned you can have too many drafts, it is easiest if you pick the best of all your drafts and offer, at moat, three different options. I thoroughly enjoyed working with Monica and I would definitely do it all again.